I raced with the Equipe Rapide Sports Car Club in Dallas, TX this past weekend for their 1st Challenge Cup autocross of the season. I competed in X-class which is basically their "Pro" class and is PAX index based. We had 10 competitors on Sunday ranging from FM Formula 500s to STS Honda CRXs and a few Street Prepared cars in between. 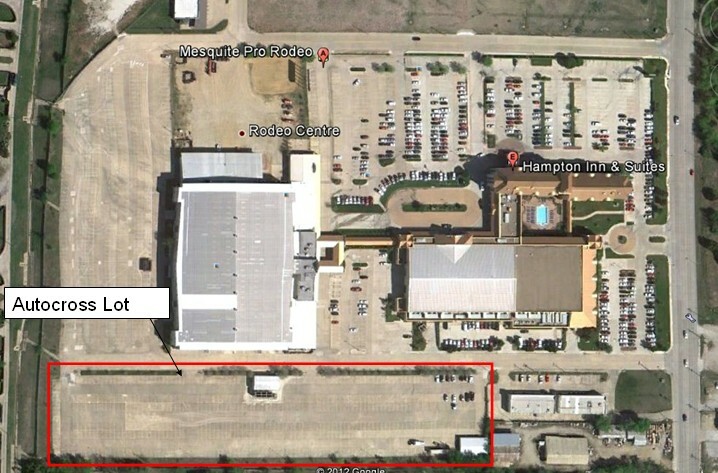 The autocross was held Resistol Arena in Mesquite, TX which is an active Rodeo arena. We raced in a side-lot that is sloped concrete. Personally, I thought not a great lot for autocrossing (too small, surrounded by curbs), but beggars can't be choosers and there was some good National racers their to compete with. As you can see from the results, runs were in the 23 to 30s range which is the shortest course I have ever competed on. With the Equipe Rapide club, racers generally get 6 runs - the first 4 runs are your regular class competition runs, but you can buy 2 more runs for $10 to compete in the Rapide Pax class which is basically a PAX index-based shootout for open to all cometitors. It pays a small amount of money and is a fun way to get some extra cracks at the course. As you can see above, I finished 2nd in X class by 0.032s behind 7-time ESP National Champion Mark Madarash. We were both on new tires for this event it was a pretty even match despite the fact that the course was very different from the larger National event courses. This was my first event on the Goodyear Eagle RS tire while Madarash was on Hoosier A6 tires. The Goodyear tire performed very well against Mark and the Hoosier tires. With some more seat time on the Goodyear tire on larger courses, I think it was very capable of taking home National Tour victories. In the Rapide Pax shootout, I picked up 0.3s to improve to a 24.5s run, but it seemed a lot of the fast competitors picked up significant time also so I finished 5th out of 73 competitors and took home $20. I gave the $20 to my faithful crew member Ali for all of her hard work.....high paying job, right! Ali and I made some new acquisitions in the racecar towing department this off-season. We knew going into the Winter that our 2003 Dodge Dakota was not going to cut it for long-distance towing with a full-size racecar....it worked for the kart, but the Camaro is just "slightly" heavier. The new tow vehicle and Ali's daily driver is a 2012 Ford F-150 Ecoboost SuperCrew 4x4. The Ecoboost engine is a 3.5L direct-injection twin-turbo V6 monster that sports big power (365HP @ 5000 RPM, 420ft-lb @2,500 RPM), V8-beating fuel economy, and great towing capacity (9,800 pounds). The torque delivery on this truck is very very smooth and it really does pull hard when get into the loud pedal. We towed with the new truck for the first time this past weekend and it performed very well especially in the hilly sections between Abilene and San Angelo (yes, there are hills in Texas). My new trailer was made by The Trailer Shop in Dallas, TX. It was custom made to order and they have great customer service....they even served Ali and I fajitas at their friend's cookout when we went to pick the trailer up! The trailer is 18' long by 83" wide and fits the Camaro very nicely. The toolbox on the front runs the full width of the trailer and is 2' deep and 3' tall. It has locking doors on both ends which makes for easy loading. It's great for storing spare parts, tools, ratchet straps....you name it. With the 4' dovetail on the end of the trailer, the lowered Camaro and it's very low front air dam load with no problem. Ali and I had a busy weekend this past Saturday. We left at 5AM from San Angelo driving the truck and the Camaro up to Dallas. I went straight to LG Motorsports in Wylie, TX for 3 baseline dyno pulls on the ESP Camaro before wedding meetings, picking up my new trailer (more details/pictures to come), and then autocrossing the Camaro on Sunday. As for the dyno, I wanted to run a quick check on the Camaro pre-season to make sure the car was making adequate power and that there were no engine issues apparent from the horsepower/torque curves. 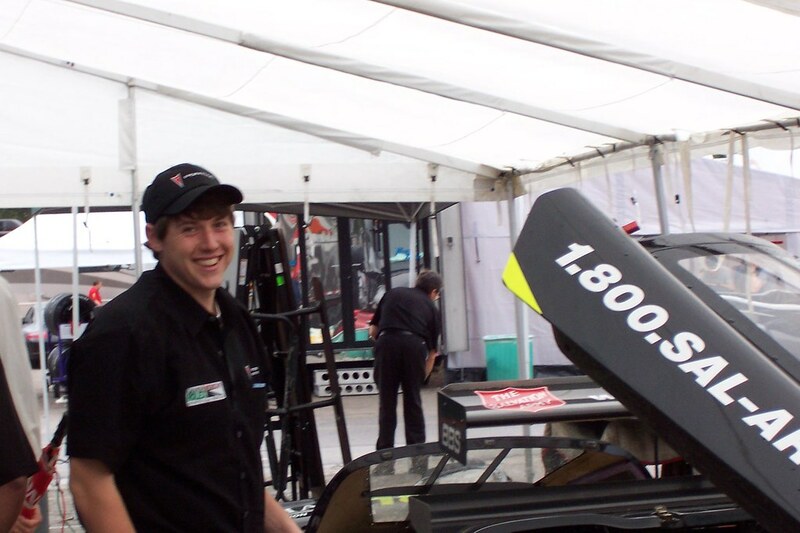 LG uses a Dynojet brand dyno. The Camaro's peak numbers were 340whp and 355wtq. This peak values don't mean a whole lot since every dyno will read differently but the curves looked good and stacked up well to other LS1-powered cars that LG Motorsports had tested. Here is some GoPro video that I shot of two dyno pulls. For this video, I attached the suction cup GoPro mount to the shop so I didn't have to hold the camera....this mount has many uses! I've been putting some work in on the ESP Camaro and planning the 2012 Season over the past few weeks. I put on new vinyl number plates made by SPS. The car will have an Orange/White theme as it develops so this should work nicely. I also have my Goodyear contingency sticks and some other various sponsor decals placed on the car now. Starting to look like racecar! I installed 2-point UMI Performance sub-frame connectors courtesy of Strano Performance Parts. I also mounted up the 315/35ZR17 Goodyear Eagle RS sneakers that I will be running this year. This first set will be used at local events and for testing. After these changes, I removed the trailer hitch finally (because I bought at trailer, more on this later) which removed a hefty 31.4 off the back end of the car. I also changed the engine and transmission oil with some quality Red Line products. The car is ready for it's first race this weekend of 2012! Before my first SCCA National Tour event in March, the main goal will be tire testing, suspension tuning, and weight reduction through an aftermarket battery, removing the A/C unit, and removing the radio/speakers. Got to keep making this car faster because you never know how things will shake out at the Solo Nationals this year. I will be running Goodyear Eagle RS tires on my ESP Camaro Z28 this year. 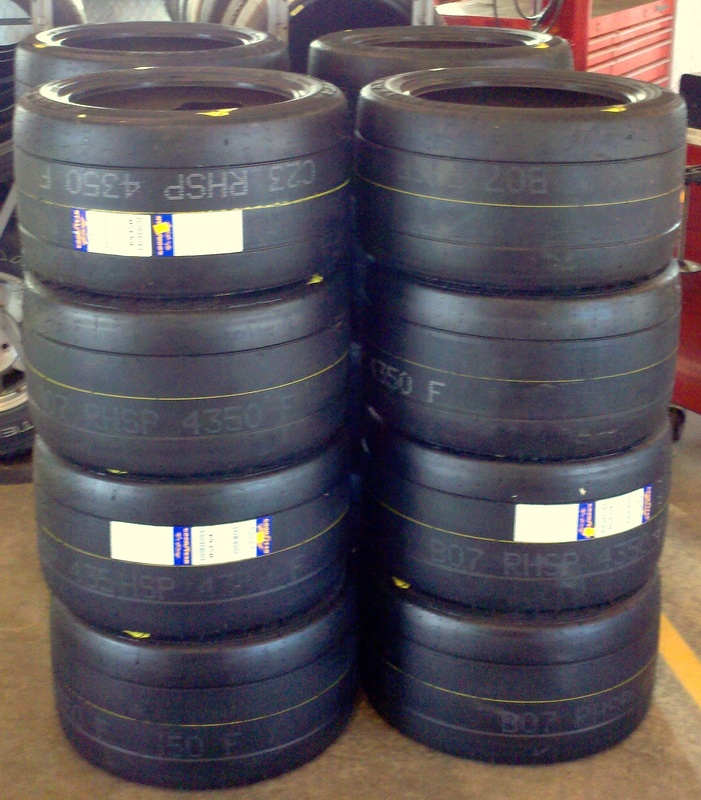 I just a received a shipment of 315/35ZR17 tires that should last me the full season. Hopefully, I can help put Goodyear on the top step at this year's Solo Nationals in Lincoln, Nebraska. I can't wait to put some laps on the fresh sneakers!